Boat lifts are ideal to have for many different reasons. Why it comes to protecting your boat, you need to make sure that you have the right lift for the job but also that it is in the best working condition that it can be in. With a boat lift, so many have been able to find that they are provided with many benefits you would not be able to get without the lift and having to ease the boat in using a vehicle. Here are some of the safety tips out there to ensure that the boat lift is in the best shape, used correctly and to ensure that the boat being used in the lift is not damaged in the process. Make sure to take the plug out of the boat drain when the boat is up on the heist. This is the best place to make sure that the boat is drained from the water that gets trapped inside it. Make sure that the boat lift is well oiled and well maintained throughout the year to keep it in the best working order. Make sure that the lever and pulley system on the lift is still in good condition and that the chain that works to hold the boat up is still strong. Reduce any abrasion or rubbing that happens on the rope since this can cause further problems if the rope is not properly cared for. 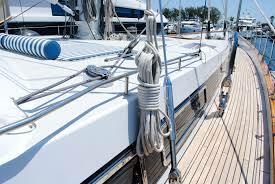 Make sure not to use grease on the rope, as this can cause it to rust and break down. Always practice safety tips and rules when using the boat lift, since you want to make sure that nothing is damaged in the process of having the boat up on the lift and that no one gets hurt in the process. Contractors Today can provide everyone with more information regarding the marine aspects of their home when you contact them regarding the marine contractors they have information on. This provides you with names of the ones working in your area and ways to contact them. Give us a call today or fill out our form below.